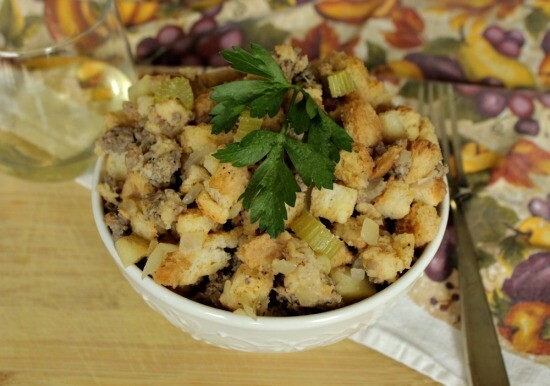 Thanksgiving is just days away and you’ve been asked to bring the stuffing. You want it to be easy. You want it to be flavorful. You want it to be memorable. 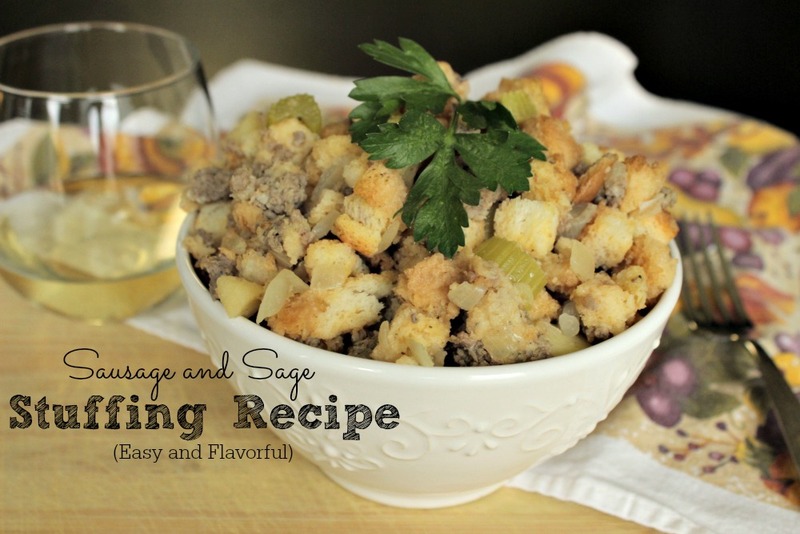 Let me introduce you to a wonderful sausage and sage stuffing recipe you and everyone else will rave about. I have a love/hate relationship with stuffing. I don’t want it to be too wet and I don’t want it to be too dry. Dressing is a funny side dish to prepare because everyone seems to like it a different way. This recipe can be tweaked to make it drier or wetter – depending on your preference. And it really is easy to make. It takes a skillet and a big bowl. (Plus the cutting board and knife to chop away!) You can use a stuffing mix from your store (not Stove Top – the bags of just dry bread that usually contain a seasoning packet, which you don’t need for this recipe). You can cut up your own bread and use that. 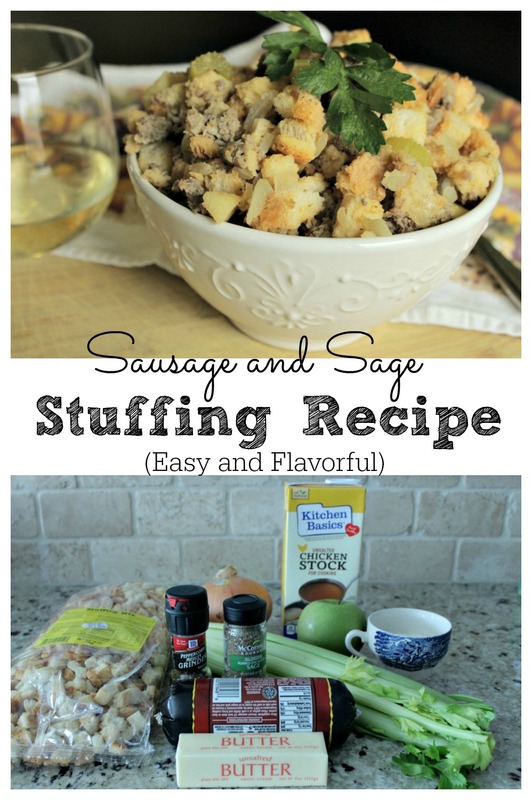 Simple tweaks and personal touches make this stuffing recipe one of my all time favorites. 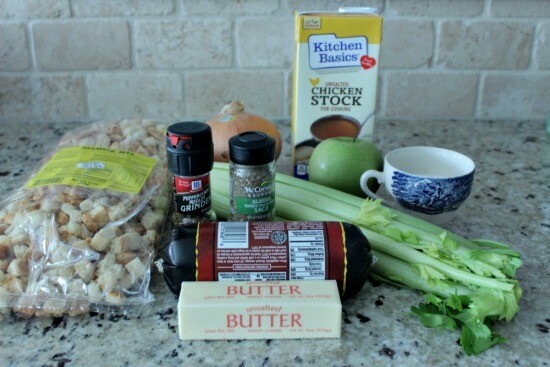 Ingredients for the stuffing. That blue tea cup you see there…it holds my salt. Plus, it turns out gorgeous with the green celery and apples. The sausage adds a salty flavor and makes it a heartier dish. And then the sage – oh the sage. YUM. Alright, let’s get to the recipe shall we? A flavorful and simple to prepare stuffing recipe that will have your guests asking for more (and for the recipe). For wet stuffing 1 or 2 eggs. 1. Heat oven to 350 degrees. Lightly grease a 9x13 inch dish or a 3 qt. shallow casserole dish. 2. In a large skillet, cook the breakfast sausage. After it's cooked (about 8 minutes), using a slotted spoon, transfer the sausage to a very large bowl. 3. To the sausage drippings in the skillet, add the 2 Tbsp of unsalted butter and melt. Add in the celery, onions, apples, sage, salt and pepper. Cook, tossing, until the vegetables are tender, about 8 minutes. 4. Add the vegetable mixture you just cooked to the bowl of sausage. Add the bread, chicken broth (and eggs if using for a wetter stuffing) and gently toss to combine. 5. Transfer this mixture to your greased pan and cover with foil. 6. Bake covered for 20 minutes. Remove the foil and bake for another 15 minutes until browned. For serving purposes, you can transfer this dish after it's done to a pretty serving bowl. 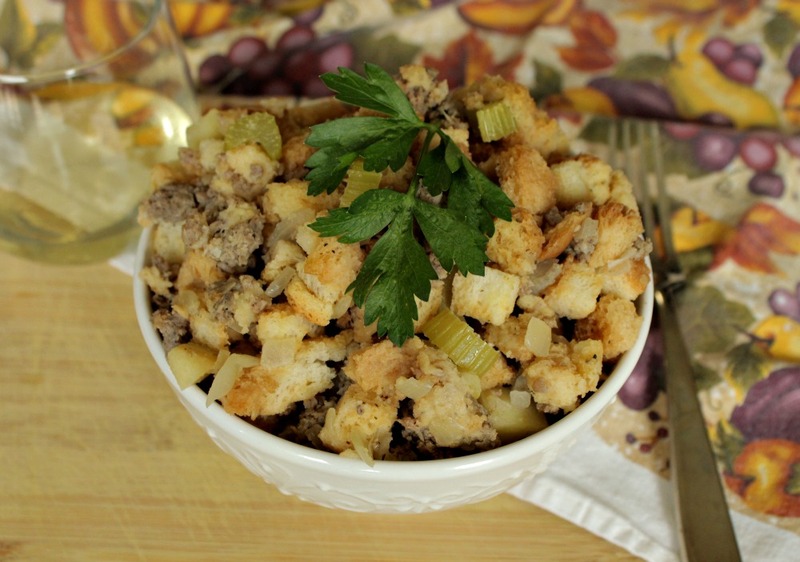 Do you have a favorite stuffing recipe? Do you like yours on the dry or wet side?